WiT scale S220 high precision body fat scale measures body weight, Body Mass Index (BMI) and body fat presenting in non-traditional way. 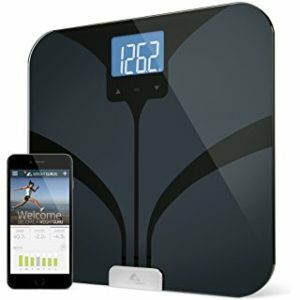 Transmitting your body weight and body fat data from Bluetooth smart enabled scale to your personal device to enable you to track your weight goals, monitor your daily or monthly workout progress right at your fingertips. Witscale app can now seamlessly share your weight, bmi and body fat to your apple health kit app. Setup: 2 simple installation steps (download/install the app and launch it on). Personal information will not be shared over the internet because internet is not required. It is always connected when you need it. Getting your comprehensive or snapshot health and fitness status is just a click. Personalized profile for each family member or share With your friend is fun and easy to get motivation to achieve your fitness goal.